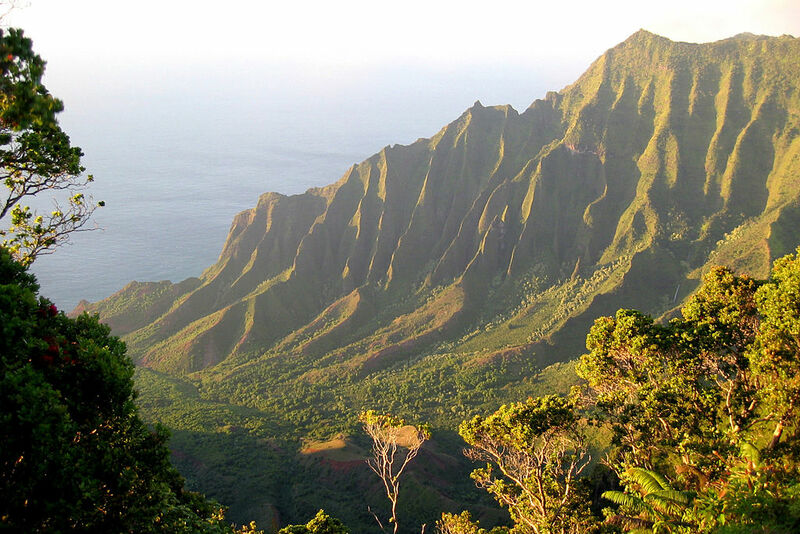 The Hawaiian Islands are full of beauty and incredible places to see, along with loads of things to do. If you're planning a much-needed getaway to any one of these islands, you're sure to find that there are so many opportunities to explore, have fun, and relax. In fact, it may even be difficult for you to narrow down your many options to those that you can accomplish within the timeframe that you'll be there. Some places throughout Hawaii, though, are considered the must-see spots of these islands, and they're the areas that you definitely don't want to miss. Check out the list below for four of these must-see places so you can plan your trip accordingly. The Na Pali Coast is one of the most beloved places in all of Kauai, and it's also considered Hawaii's best route for backpackers, as it's 22 miles round-trip and offers unspoiled lands, valleys, cliffs, and, of course, views of the Pacific Ocean. The trail that runs along the Na Pali Coast was actually constructed in the middle of the 1800s, and it features sheer drop-offs, sharp turns along cliffs, and switchbacks that are narrow, so you need to be strong and balanced, as well as brave. Only hike this area if you have a lot of experience with hiking these types of trails. But if you have the skills, expect to pass through a total of five valleys before the path will end and you reach Kalalau Beach. Hawaii's Volcanoes National Park is one of the most sought-after places on the island because it is unlike any other place on Earth. There, you'll find amazing black lava, rainforests, and an array of landscapes with a total of seven ecosystems. Check out Crater Rim Drive, which is 11 miles long and encircles Kilauea's summit caldera. Remember, Kilauea is one of the most active volcanoes on the planet, so it's definitely a sight to behold. Also be sure to check out Steam Vents, which is where you can actually see steam rise out of the interior of the Earth. And Thurston Lava Tube is a walkable, natural tunnel that's 500 years old and used to house a river of violent molten lava. If you're in search of picture-perfect, raw, natural beauty, you must see Waimea Canyon, which is found on the west side of Kauai. It's 1.5 miles wide and 13 miles long, as well as an incredible 2,750 feet deep. There, you'll find incredible cliffs that are rugged and colored a variety of hues, including brown, orange, green, and red. Take the Waimea Canyon Drive, also known as Highway 550, to Puu Hinahina Lookouts and Waimea Canyon if you want to head out on your own. Then you can hike the Kukui Trail, which is a 2.5-mile trail that's quite challenging because it features a steep path that drops a whopping 2,200 feet to the floor of the canyon. If you want to drive someplace and rest your feet for a while, you can still enjoy some exhilarating beauty if you are on the island of Maui and taking the famous Road to Hana. So go ahead and rent a convertible so you can have the top down and the music turned up. The Hana Highway, also known as Highway 360 and Highway 36, is truly an adventurous excursion that you will not forget, and you may want to stop along the way and take some photographs of the beautiful scenery, 50 bridges, and the small town of Hana itself, which is located on the eastern shore. Hana is known for its thriving Hawaiian culture, but before you get there, you can enjoy breakfast in Paia, swim in the amazing waterfall pools that are found in Puaa Kaa State Wayside Park, and visit the Kahanu Garden and Waianapanapa State Park, which is a black sand beach. When booking your trip to Hawaii, consider what spots you definitely must see, as you may need to book several hotels on different islands and plan for flights between the islands throughout your vacation. You can also search for things like cheap Kauai vacation packages if you are on a budget, or you can book your stay at a resort and review their vacation packages. This could be a great way to plan your trip more easily and affordably. Then it's a matter of heading out and having fun!